Here is a letter that will appear in a future AMTNJ (Association of Math Teacher of New Jersey) newsletter. I thought I would would post it here. Twice a year I give a shout out to all that can hear about my favorite collaborative project called the Noonday Project hosted by Stevens Institute of Technology’s Center for Innovation in Engineering and Science Education (CIESE) which twice a year has students from around the world recreate measuring the circumference of the earth similar to what Eratosthenes did 2200 years ago. The measurements are done at the time of the Equinoxes approximately March 21 and September 21. 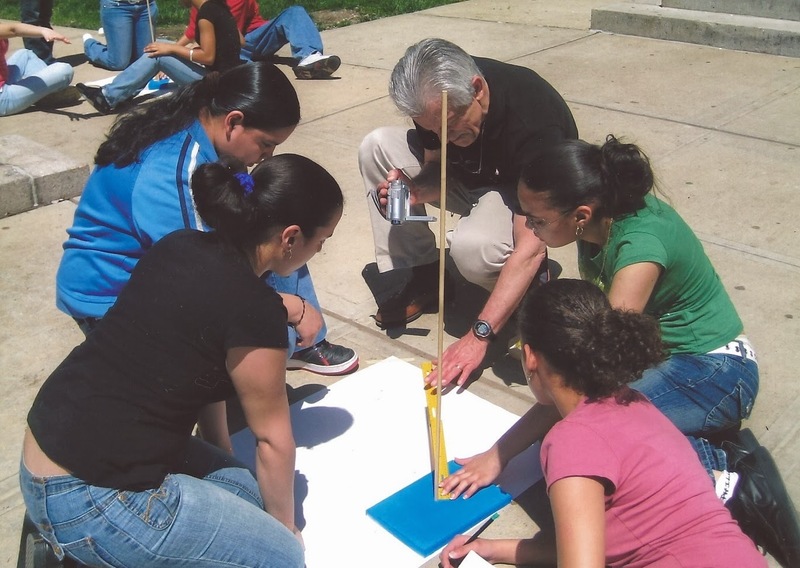 This year (2014) AMTNJ (Association of Mathematics Teachers of New Jersey) is celebrating its Centennial and will be collaborating with Greg Bartus at CIESE and the Council for Technology in Math Education (CLIME) an affiliate of NCTM to bring this wonderful project to you. It starts on March 10 and continues through April 11th 2014. This will be followed by a videoconference hosted by Eric Vayssie which will be an opportunity for students from around the world to share their results from doing these measurements and participating in this project. This is an exciting opportunity. I hope you can join us. Noon Day Project, CIESE, Stevens Institute of Technology.